Toppik Hair Building Fibers are changing the lives of millions of men and women struggling with fine or thinning hair. You’ve seen the before and after’s of how Toppik works, but you’re probably wondering, “Does Toppik work for me?” Hair Building Fibers disguise hair loss for men and women of all ages and ethnicities. From male pattern baldness to styling damage, see how Toppik works for everyone. How Does Toppik Work for Men? Hair loss is very common in men. 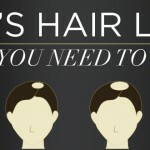 In fact, 85% of men will experience hair thinning before the age of 50. In most cases, a genetic condition called male pattern hair loss is to blame. While male pattern hair loss can be treated with medications or surgery, it is not curable. Luckily, Toppik Hair Building Fibers can disguise signs of male pattern hair loss, including a receding hairline and thinning crown. The Fibers have a strong natural static charge that creates a magnetic effect, tightly binding Toppik Hair Building Fibers to even the finest strands of human hair. Before using Toppik, Mohab was concerned about his receding hairline and overall thinning. “It baffles me to see how a little product can make A LOT of difference,” he says. Mohab uses Hair Building Fibers in black for his mid-length, fine hair. Jeremy uses Hair Building Fibers as an instant fix conceal a bald spot. “I can use Toppik while I take Biotin, I take Supplements every day for my hair and also I get stem cell therapy done on my hair as well. Toppik just gives me the instant results that I want right now,” he says. Before using Toppik, Keilan kept his curly hair cropped short to hide overall thinning and male pattern baldness. “Toppik allows me to have the confidence to let my hair grow out,” he says. According to Steve, before he used Toppik he had “given up” on his hair. Now he uses a mix of light brown and gray Hair Building Fibers to a bald spot at the crown. 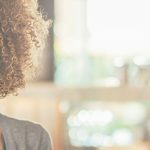 How Does Toppik Work for Women? Although it’s typically thought of as a male issue, hair loss is quite common in women as well. In fact, 40% of people who suffer from hair loss are women. 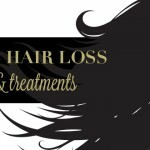 Female hair loss can have many causes and is often treatable. But if you want instant results, Toppik Hair Building Fibers can conceal a widening part and overall thinning in moments. Charity uses Toppik Hair Building Fibers in medium brown to conceal a cowlick in her naturally straight hair. “I use it daily, and don’t see myself ever stopping,” she says. Bella A. loves Toppik Hair Building Fibers because they allow her to feel confident without wearing a wig. She wears dark brown Fibers in her course and curly hair to camouflage damage from hair extensions. Peggy T. uses Toppik Hair Building Fibers in auburn to disguise her female pattern baldness and complement her wavy red hair. According to Adrienna, Toppik has solved all of her hair problems. She uses a mix of light blonde and medium blonde Hair Building Fibers to disguise female pattern baldness and overall thinning. “It has changed my life, I am thrilled,” she says. Toppik Hair Building Fibers work for everyone, and they’ll work for you too! Check out our YouTube channel for more stories from real users and information on Toppik. 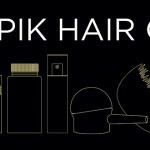 Have you tried Toppik Hair Building Fibers yet? Share your results with us on Instagram! can this help grow short hair into an Afro. Please can someone contact me? This the 3rd time I am sending this mail. If you have questions about your order, please contact Toppik customer service at 1-800-THICKEN (844-2536) or support@toppik.com. Thanks!